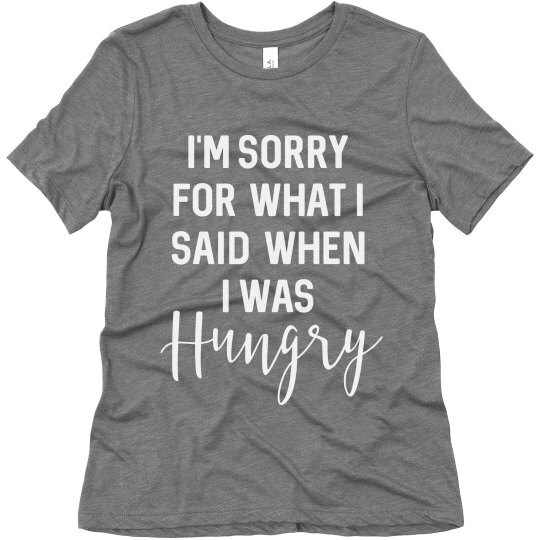 I'm sorry for what I said when I was hungry or more like hangry. Actually wait..now that I think of it, no I'm not really sorry because food is a basic necessity! Snag this funny shirt for the foodie in your life or also for you who loves to eat.